Mirror Magic Spot the difference game with 3 images! 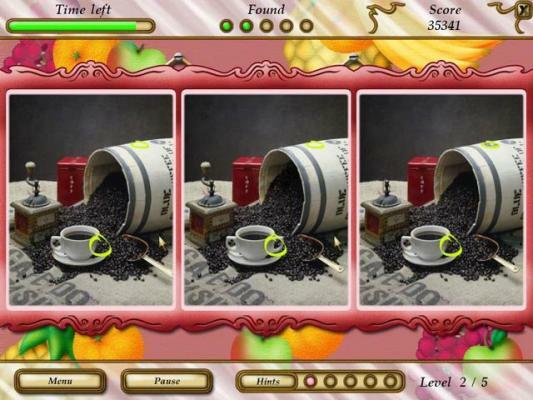 Spot the difference game with 3 images! Mirror, mirror on the wall, what's the most magic game of all? Mirror Magic! The vain, but remarkably beautiful, Grendoline has magically locked all the villagers up in mirrors. 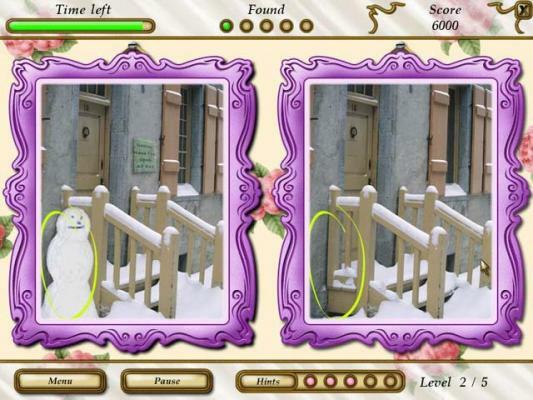 Help Iris set her family and her village free by finding all the differences in the mirrors - before it's too late! Rain, fog and poor light will hinder you, but with a keen eye you'll be a hero. Look into these mirrors and you'll see hours of family fun! 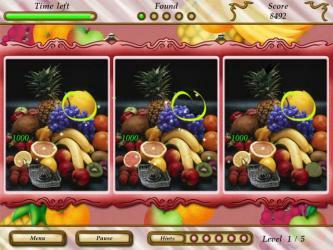 Spot the difference game with 2 or 3 pictures! 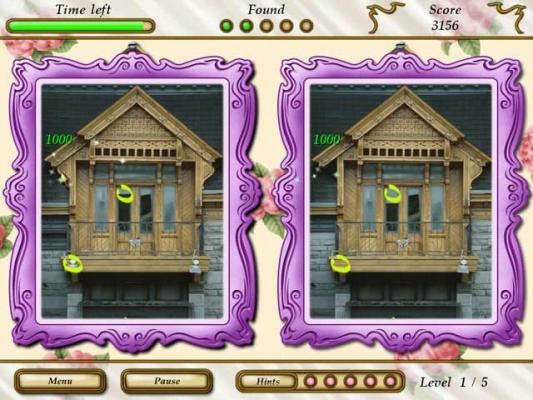 Spot the five differences in enchanted mirror images while testing your observation skills and your nerves! Mirror, mirror on the wall, what's the most magic game of all? Mirror Magic!